In the Christian tradition, whether Roman Catholic, Eastern Orthodox or Protestant, the angel Gabriel plays an important role. 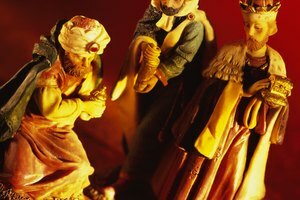 In the Bible, the apostle Luke describes how God sent Gabriel to deliver his message to the Virgin Mary that she would give birth to Jesus Christ. His greeting to Mary, “Hail Mary, full of grace,” is part of the prayer staple of many Christian believers. And Catholics celebrate a holy day, the Feast of Annunciation, in which they remember Gabriel. Gabriel is sometimes depicted with a lily. In the Catholic Church, Gabriel’s name has a variety of different meanings, depending upon the reference. Some sources reveal that Gabriel means “Man of God,” while in others, it means “God is my strength.” Gabriel is considered the patron saint — the saint who will intercede on your behalf before God — of workers in communications, including such positions as clergy, messengers and postal workers, as well as careers in broadcasting, public relations and radio. He is the patron saint of Portugal, the state of Washington and the archdiocese of Seattle. Gabriel is often symbolized in images that portray him blowing the resurrection trumpet or by a spear, lily, lantern, mirror or an olive branch. In these images, he is often associated with the colors blue or silver. 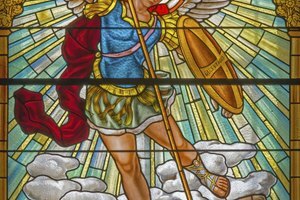 St. Gabriel’s feast day in the Catholic Church is September 29, and he shares his day with the angels St. Michael and St. Raphael. In the Eastern Orthodox church, he is commemorated on March 26. 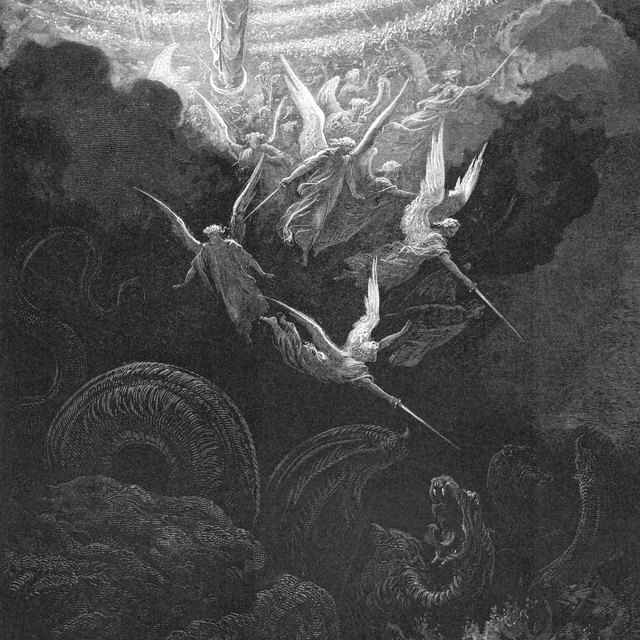 In Milton’s epic poem, “Paradise Lost,” Gabriel is the angel who guards the gates of Eden. Gabriel first appears in the book of Daniel when he explained Daniel’s vision to him. In the New Testament, Gabriel appears to Zachary to announce the birth of Jesus to the Virgin Mary. Catholics sometimes call Gabriel the angel of consolation and mercy, and his role is clearly that of a messenger. He is a powerful angel, and his name is often mentioned alongside words like “great,” “strength” and “power.” In the book of Luke in the Catholic Bible, Gabriel says he “stand[s] before the Lord,” which makes some theologians assign him the appellation “archangel.” In some versions of the Catholic Bible, Gabriel's name appears five times. 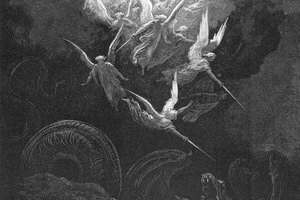 In the Orthodox tradition, Gabriel is one of the seven "highest archangels," along with the angels Michael, Raphael, Salaphiel, Uriel, Jegudiel and Barachiel. As in the Catholic tradition, Gabriel is the messenger of the good news of Jesus’ incarnation to mankind. Additionally, he stayed with Mary in the temple of Jerusalem and watched over her when she was a child. 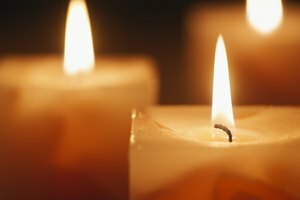 Christians often pray to Archangel Gabriel when help seems far away. In the Protestant tradition, Gabriel’s name means “Champion of God,” and he appears four times, in the books of Daniel and Luke. He is not called an archangel in the Bible, Protestants note; that name is reserved for Michael only. Calvin, the influential Presbyterian theologian, taught that angels are “celestial spirits,” but he did not believe in guardian angels. What Does a Key Signify in the Catholic Church? Hames, Sherry. "The Angel Gabriel, According to Christian Beliefs." 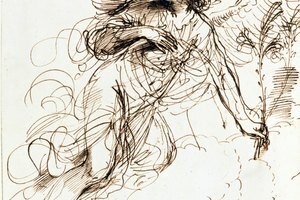 Synonym, https://classroom.synonym.com/the-angel-gabriel-according-to-christian-beliefs-12085057.html. 29 September 2017.